Join the community in lighting up the two Christmas trees and then onto the village hall where you are warmly invited for free mulled wine and mince pies. Bring your team along for an enjoyable and social evening or come on your own and we’ll fit your into one of the teams. Don’t forget your drinks and nibbles. And don’t forget a Raffle prize – it will be most appreciated. Entry is £2.00 per person plus £1.00 for a raffle ticket. You are warmly invited to our production of ‘Scrooge’ in the church. The children will be performing a variety of songs and music, including some old favourites. So please come along and support us. 7:30pm in the Bowling Green Pub, East Bank, Winster. Led by Rolling Stock Company. Come and join in. To download and read the latest Elton Echo Newsletter, click image below. Previous editions can be found on the Elton Echo page of this website. Elton Christmas Tree light-up will take place on Sunday 8 December 2013 at 6pm. The evening will start at with the lighting-up of the small tree on the village green (by the telephone box). 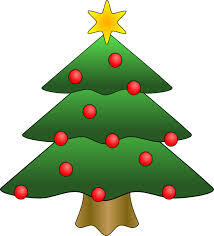 We will then move onto to light-up the tree at Elton church. Everybody is then invited back to Elton Village Hall for free mince pies and mulled wine. The Elton Jubilee Field has taken another step forward with its Improvement Project. After successful applying to the Peak District National Park to consider allowing PVC windows as opposed to timber, the new windows and doors have been installed. Click on one of the pictures below to enlarge and start the image carousel.